Frievar is a franchise system set up in 2002 with the goal of producing healthy meat by maintaining a strong focus throughout the production chain on animal health, quality and welfare. 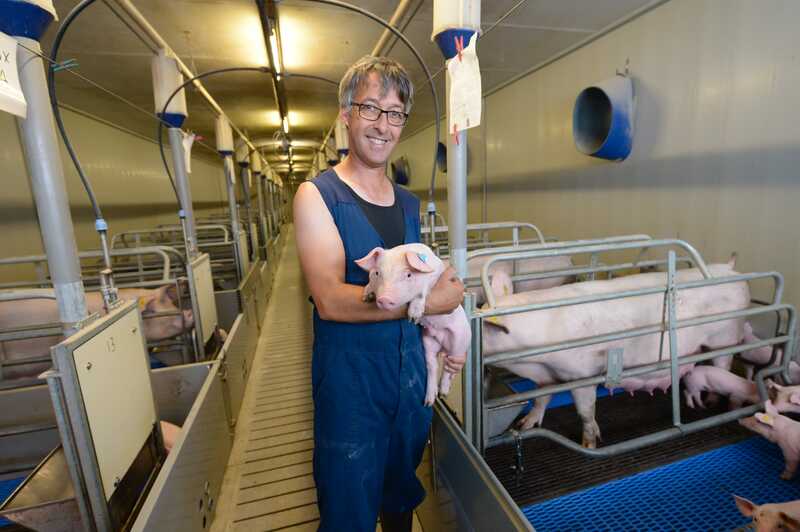 It was set up by fellow Dutch farmers Mark van Sambeek and John Lorist, who have each been producing their own pigs in Friesland since the 1980s. The two men decided that cooperating could be a prosperous idea for their two farms and ended up forming a plan on how best to sell slaughter pigs. From that development came the plan to introduce their own food brand and start marketing their produce. The farming company was born and given the name Frievar BV, while the name they decided upon for the food brand was Friberne. The name Frievar is derived from “Frie” from Friesland, which is the area the farms are based in, and “var” from the word varken, which is the Dutch word for pig. One of the main selling points for the franchise’s pork is that it comes from a breed of pig that is bred specially for the Frievar farms. These pigs receive a specific feed formulated with the addition of herbs, which flavours the meat popular in many Friesland restaurants. Frievar co-founder John Lorist said: “Frievar is the franchise formula for pig farmers. The focus of Frievar is on health, quality and animal welfare and working together on honest meat. “Frievar offers our pig farmers purchasing advantage on, for example, feed and business articles, and guarantees the purchase and sale of piglets and fattening pigs. Frievar offers its pig farmers advantages and the consumer a quality piece of Friberne pork at a good price,” he added. Farmers connected to the Frievar programme are based all over the Netherlands and the main offices are in the south-west corner of Friesland, in the villages of Echtenerbrug and Hemelum. On Mark van Sambeek’s farm there are 1,200 sows with 3,500 fattening pigs always in his system. All told the Frievar farmers send 10,000 pigs a week for slaughter, each weighing in at around 68kg live weight, and receive an average of €130 per head for them. Frievar pigs are fed a balanced ration, 80 percent of which is raw materials of European origin – and 60 percent of this consists of at least three cereals. The meat pigs receive a daily portion of locally grown roughage – including lucerne, green cut oats and clover – which stimulates the gastrointestinal tract and is good for the digestion. The daily roughage mixture also contains various herbs and materials that are natural to pigs’ diets; these contribute to a good metabolism and include oak bark, juniper and chestnuts or elderberries. John explained: “There are 17 million people in the Netherlands, two million cows and 15 million pigs. “We use a pig bred from a number of common breeds that suits our system. Our aim is to produce pigs free from antibiotic use and feed them a ration that is 60 percent cereals and herbs. “Our production figures include an average of 15 pigs per litter, 2.35 litters per sow per year and a 15 percent mortality rate. “As a brand Frievar has its own certification scheme, equal to the Dutch ‘Beter Leven’ standards. After processing the carcass we can turn each one into €430 selling it through our brand,” he said. Another of the main goals of Frievar is to start a pilot project using blockchain technology, with agritech company AgOS. The aim is to make the whole production chain transparent, providing consumers and the industry alike with the resources to guarantee the source and quality of the meat. John added: “By using blockchain technology the validity of the data is continuously checked and buyers can see if all standards are being met, from the feed to medicine use and stocking densities. “The cooperating parties have a short production chain,” he continued. “From the pig farmer via the slaughterhouse and the wholesaler to the traditional butcher or the catering industry is a short route producing fresh meat. “The customers know where the meat comes from. The cooperation between the links in the chain is unique. They have the whole process in their own hands and know what is happening in the other links,” he added. Frievar pays particular attention to transporting the pigs to the slaughterhouse to ensure animal welfare is maximised throughout the animals’ final journey. 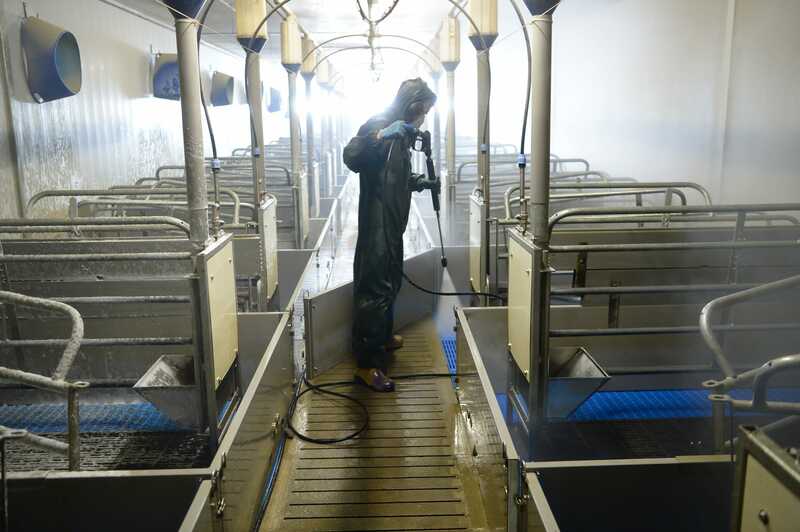 Only one transport company is used by Frievar which ensures all the trucks have been thoroughly washed, disinfected and heated beforehand, so that the animals do not run any health risks during transport. For the transport of the piglets, the group of pig farmers use conditioned transport that heats up the trailers to a constant temperature that is comparable to the house temperature. John added: “Friberne pork is authentic meat from a recognisable short chain. It is full of flavour, for the consciously enjoying consumer, and produced by a group of cooperating pig farmers who work with care to produce meat with added value. “Our Friberne pork is a treat in the pan and on the plate. It has a fine structure, is good in colour and is nice and tender. It is quality meat from pigs that receive the attention and care they deserve. 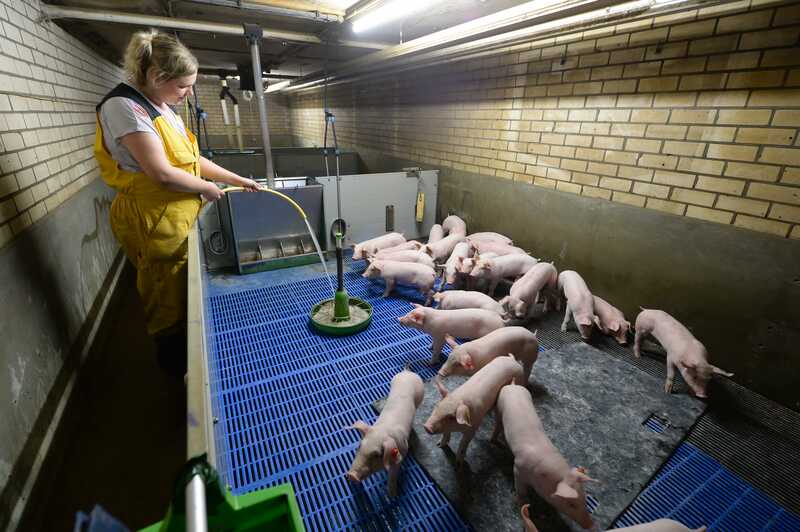 Pigs without stress produce better meat. The Friberne pig farmers are aware of this every day,” he added.